Sunday Showcase – New TPT Packs! Okay… so technically it’s Monday here, but I didn’t get a chance to do this yesterday! I’m trying to catch up some blogging, and TPT making and crafting in general, but it’s taking a bit of creative organising on my part. I did, however, make 2 new products fro my TpT store this weekend, inspired by what my class has been exploring over the last few weeks. We’re 7 weeks into the new school year, and my lovely Foundation class has been working on Letter vs. Word identification, as well as beginning to explore sight words in preparation for the start of our reading program. Both these products are currently 20% off in my store, as well, for the next 24 hours. Help your little learners to identify letters and words with this simple sort, with a fun St. Patrick’s theme. Use a pocket chart to display the cards, or have students group them on the table. If you require students to record their learning, a recording sheet has been provided! Simply click on any of the images above to view this pack my TpT store. 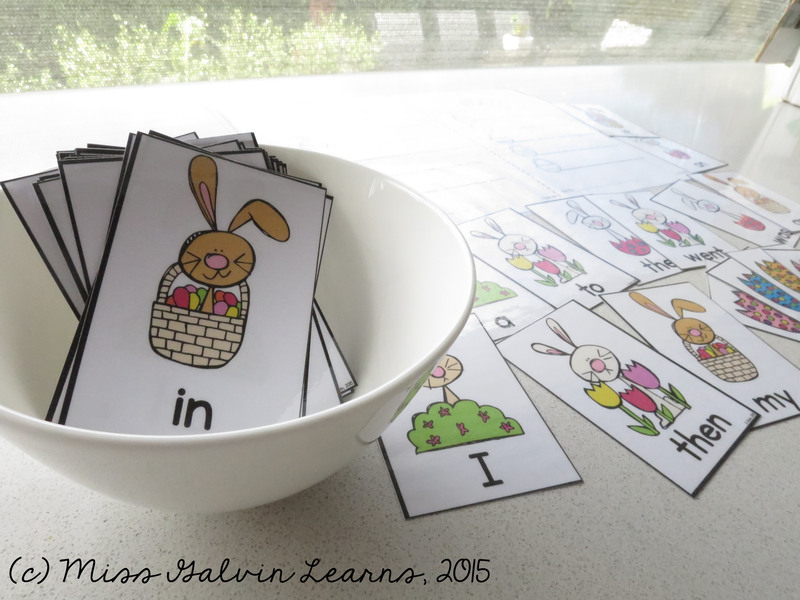 Practise sight words with this fun game, with an Easter Bunny theme. Simply select the sight word cards you would like your students to practise (there are 124 to choose from, but I would definitely recommend selecting between 24-36 of them for small groups). Include the Egg CRASH cards and put them all in a container and you have a fun reading game. Click on any of the images to view this game in my store. I hope everyone’s had a wonderful weekend! I hope to get back into a regular blogging schedule very soon! The lovely Mel over at Graphics from the Pond, is holding a linky party for products using her super-cute Little Friendly Ghosts clipart. Typically, I could not refuse! As such, I’ve actually got a product now listed at Teachers Pay Teachers. It is a simply little sight word recognition game using Pre-school and Kindergarten (Prep-equivalent) Dolch sight word lists. It contains a total of 92 sight words, plus a collection of BOO! cards. Students take turns selecting a card (from a bag, container or face-down pile on the table). Each student must read their sight word in order to keep it. If they are unable to read it, it is returned to the bottom of the pile. Interspersed throughout the pile are BOO! cards. If a student selects a BOO! card, they must return all their cards back to the pile. Print multiple copies of each sheet and play Memory. More capable students can put the words they select into a sentence. Have students record the words they select on mini-whiteboards, on paper/in notebooks, etc. I think this will be a fun way to keep a familiar concept and change the theme – especially with Halloween not too far away. My class has been planning Halloween since the start of the year (and yes, I know we’re in Australia – I think we’re going to try and do a fundraiser for our school this year). I’ll probably add more words at a later date. So… a big THANK YOU, Mel, for such wonderful clipart! What games do your students enjoy playing?